As Yorkshire’s premier cosmetic skin clinic, we regularly treat clients from Huddersfield, Leeds, Bradford, Halifax, Dewsbury and Wakefield. All treatments are provided by highly skilled medical professionals, specialists in the field of medical aesthetics. Our doctors will use their clinical judgement to ensure you, our patient, receives the best possible care and results. Our philosophy is simple; safe and effective medically approved treatments tailored to your individual needs and led by Doctors. Let us work together to help enhance your existing features to achieve a naturally beautiful look. A firm belief in clinical excellence as Yorkshire’s premier provider of cosmetic dermatological treatments. Our Dream has always been to create a centre of excellence where our patients are offered the best treatments by the most highly skilled doctors at affordable prices. 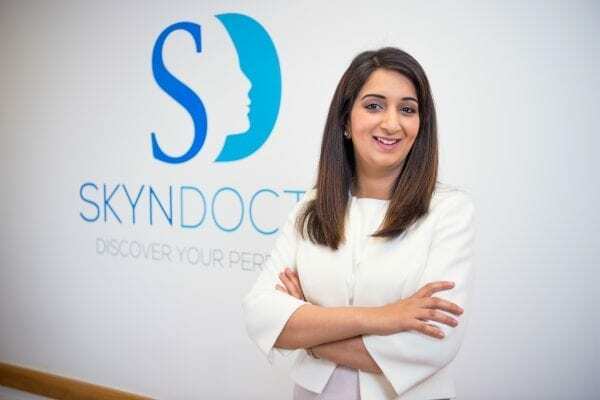 At Skyn doctor we aim to provide the perfect patient experience, starting from the initial phone call to a well-informed consultation in a non-pressured environment to advanced treatments by our excellent clinical team. Rest assured we are always at the forefront of learning with regular attendance at international conferences and interaction with world-renowned experts so we can bring the best possible treatments back to our clinic. We look forward to hearing from you and offering excellent care in a comfortable and relaxed clinical environment. Dr Aneesha is an expert in cosmetic dermatology and has a wide depth of knowledge regarding all skin conditions and laser treatments. She is an advanced cosmetic injector carrying out expert botox and filler injections, with a particular interest in structural restoration and reversal of the ageing process. She has been trained by world renowned cosmetic doctors. She is also an ambassador for Obagi Medical, a leading skincare range in the aesthetic industry.